There's a time and place for everything, including taking the divisive, frequently anti-consumer culture of gaming preorders and making it work in your favor. Back in 2013, Kirk Hamilton wrote a great post about Bioshock Infinite's manipulative preorder scheme . A few weeks later I came on board and rebooted Kotaku Deals (then called Moneysaver), with this . This is also a good time to remind you that the Commerce Team operates independently of Kotaku Editorial. Whatever you ultimately came away thinking about Bioshock Infinite, it was one of the most anticipated games ever, and if the original Bioshock was any indication, a game you probably wanted to play early to avoid spoilers. Getting multiple free games and as much as $30 store credit on top for preordering didn't hurt either. Killer preorder bonuses like money sit in stark contrast to Arkham City's carving up of Batman's walk-in closet , or the mess that was Watch Dogs' preorder structure , but at the same time they're still a part of the same perpetual machine. Offer a real value to the user: money, credit, significant content, bonus free games, etc. Not costumes and weapons. Contain limited edition content (physical or digital), that we think will actually sell out. 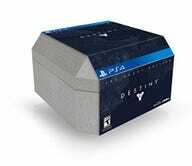 The easy and recent example of the latter is Destiny's Ghost Edition, which was a rare example of a special edition that included both significant in-game content fans of the game were likely to buy anyway, and very cool physical goods, not the least of which being the Ghost replica. That all adds up to this happening. A ton of our readers were able to grab the Ghost Edition, but many more have been asking us on a daily basis if we've been able to find more. The big danger of preordering is of course getting stuck with a bad game, but it doesn't actually have to go down like that. Not charge you until the item ships. Offer preorder low price guarantee. Offer free returns on unopened items. Honor price changes within a certain time after purchase or delivery. Vitally, the first and last points there shield you from another divisive aspect of our industry: previews and review embargoes. Good retailer policy is your safety net against even the trickiest of 11th hour embargoes. That all being said, it really comes down to money. You can save 10-33% on every single game that comes out, ever, by jumping on a preorder deal at the right time. That adds up to a lot of savings to put toward more games over time. Not supporting manipulative, anti-consumer practices is a great reason to stop preordering games, but there are a lot of good reasons like money/credit, collector's editions, pre-installation, avoidance of spoilers, big day one multiplayer communities, and greater early trade-in values that make taking advantage of the right preorders worth your while. We cover all the best deals, not just the preorder ones, in our Kotaku Deals segment, and round up all the upcoming releases in our revamped Calendar .